The BBC unveiled the new logo for its long-running science fiction show Doctor Who back in 2009. The show is pretty much an institution in some parts of the world and the new series had a new writer and producer, a new Doctor, and as mentioned a new logo. 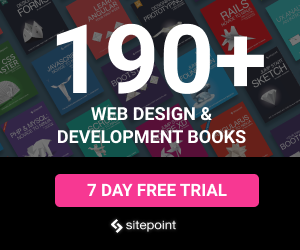 The new design was created by Red Bee Media. 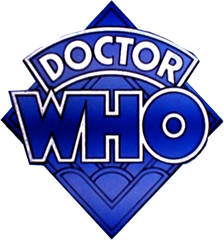 The logo features the letters D and W molded together to form the shape of the Tardis with a futuristic flashing police light on top. The type and the tardis have a strong metallic feel in blue and dark purple tones. Like the very best logos, it’s simple, it’s relevant and it’s aesthetically pleasing. Personally, I love it. According to Red Bee Media, the new identity aims to align the Doctor’s brand with blockbuster sci-fi and super hero film emblems, such as Superman, Star Trek and Batman, which are universally recognized. The design uses the same base color as the original designs from the 1950s and “explores light and dimension to depict the adventure and mystery that is synonymous with the alien time-travelling Doctor”. The 11th logo for the 11th Doctor – those grand old words, Doctor Who, suddenly looking newer than ever. And, look at that, something really new – an insignia! DW in TARDIS form! Simple and beautiful, and most important of all, a completely irresistible doodle. I apologise to school notebooks everywhere, because in 2010 that’s what they’re going to be wearing. 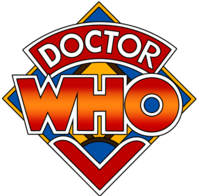 The new logo is the eleventh Dr Who logo in the 47 years the show has been running. Below you can see some of the previous iterations of the logo, beginning at the top left with the orange/gold logo which has just been replaced. What do you think of the new logo? Is it a good change or should the old one have been left alone?